Congress provided the chief information officer at the Department of Defense with additional authorities and responsibilities through new provisions that took effect Tuesday, Jan. 1, as part of the fiscal 2018 defense authorization measure, Federal News Network reported Tuesday. 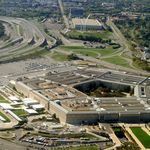 The amendments would direct the DoD CIO to develop, publish and adopt standards for all cyber and information technology capabilities that operate on networks of service branches and defense agencies. The law requires the CIO to carry out in-depth reviews of each defense agency’s five-year budget request prior to submission to the comptroller’s office for final assessment to determine whether spending plans meet the cyber and IT requirements of agencies. The measure would also require the DoD CIO nominee to undergo Senate confirmation, according to the report. The report noted that some of the amendments correspond to the Federal IT Acquisition Reform Act, which seeks to build up the role of CIOs across agencies.